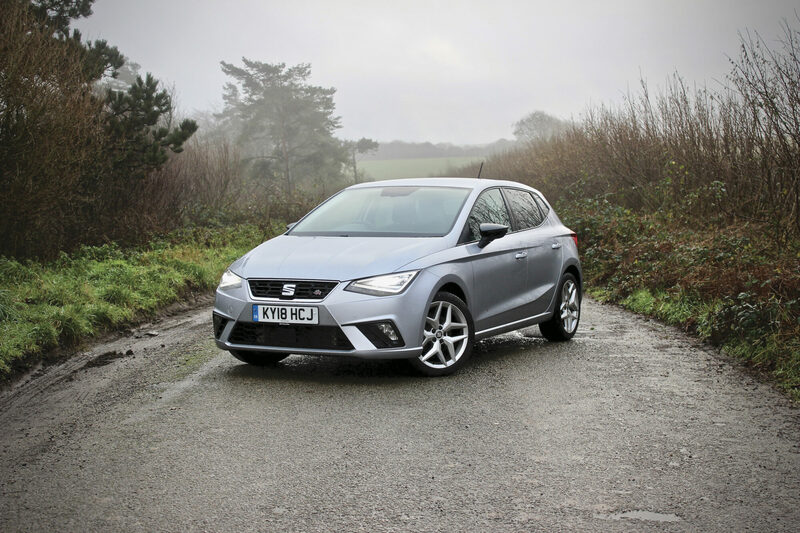 SEAT is keen to promote the fact that the Ibiza is designed and built in Barcelona, so I felt it was only right to set the navigation system accordingly, before the supermini made its way back to the mothership. But rather than plotting a course for the Catalan capital, I decided to head for Barcelona, Cornwall. Situated about a mile inland between the coastal towns of Looe and Polperro, this tiny hamlet is, figuratively and literally, a world away from the Spanish city. But it was too good an opportunity to miss: a chance for the Ibiza to head home. Of sorts. In truth, it was a bit of a disappointment. There are no road signs welcoming you to Barcelona. Were it not for the reference to the name on the Ibizaís map, you could pass through the hamlet without any knowledge of its illustrious name. Thereís a Barcelona Cottage just off the main road, and the football team play at the New Camp ñ a reference to Camp Nou, the home of FC Barcelona ñ but there was a crushing sense of anti-climax upon arrival in the Cornish Barcelona. Having no access to the middle rear seat has been a constant source of frustration, rendering the car useless when organising a day out with one of the grandparents or friends of the children. Iíve also had some explaining to do when arranging lifts for football away days. Having a car with two rear seats is fine in a city car or if you were aware of the absence of a middle seat when buying the car, but in this segment itís far from ideal. The Ibiza is one of the 75,000 Volkswagens and SEATs that will be recalled to have the problem rectified, so at least the next owner will have access to the full quota of three rear seats. The slow rate at which the windscreen de-mists has been another frustration, even more so when you drive away with clear glass, only for it to mist up before the end of the lane. Itís a small thing, but when it can add a few minutes to every morning commute, it becomes an annoyance. The heating and ventilation system isnít one of the Ibizaís strong points, which is a problem I also encountered in the Arona. Other gripes include the wafer-thin carpet in the boot, irregular rattles from behind the dashboard and door cards, and the stark environment for rear seat passengers. All that said, Iím of the opinion that the Ibiza is one of the best cars in its segment. Subjectively, itís the best-looking supermini on the market, although I havenít been won over by the fake exhausts in the rear bumper. Which is a good opportunity to look at the Ibiza from another angle. You see, Iím not the Ibizaís target audience. The 25-year-old me would have no problem with the fake exhausts and would instead be charmed by the 17-inch alloy wheels, the now standard full-LED headlights, the sports seats, flat-bottomed steering wheel, sports suspension and dark-tinted rear windows. It absolutely looks the part and, in the front at least, it feels very special. The ambient lighting is a particularly nice feature, while the 8-inch touchscreen is one of the clearest and easiest to use on the market. But it canít quite live up to its sporty styling. On first acquaintance, it feels like a willing ëwarm hatchí. The 1.6-litre diesel engine delivers a healthy amount of mid-range pull and the lowered suspension, well-weighted steering and sharp handling combine to deliver an enjoyable driving experience. After a while, though, the firm ride begins to jar, while the lack of low-end acceleration starts to grate. Itís not that itís an unpleasant car to drive, itís just that it isnít the performance car the FR badge would have you believe. Twenty years ago, Iíd have been mightily impressed by the Ibiza FR. Today, I think Iíd prefer the upmarket Xcellence trim, which probably says more about me than it does about the car. Overall, the Ibiza is a very good car. Itíll be even better when SEAT finally fixes the seatbelt issue. The best-looking car in the segment? Quite possibly. The rear seatbelt problem has been a constant source of frustration.